Just FUN at our 9:00 am workout: Here’s what Happened! 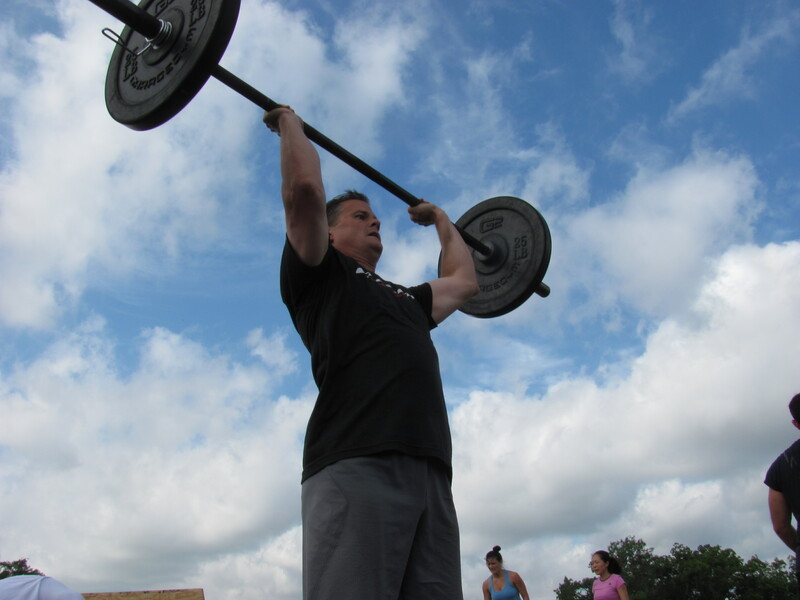 Each athlete rotates through the Push Press. Team keeps a running count of tire flips. Tearing up the workout outside always brings out a little more. Lynn pulling anchor for the Girl-rillas on #21 of 21 after 45+ tire flips. FUN de MENTALS was really FUN this morning. Great instruction from Matt and superb effort from all the athletes. Great push press Johnny and Nico. Tracey and Rachel were both looking so strong. 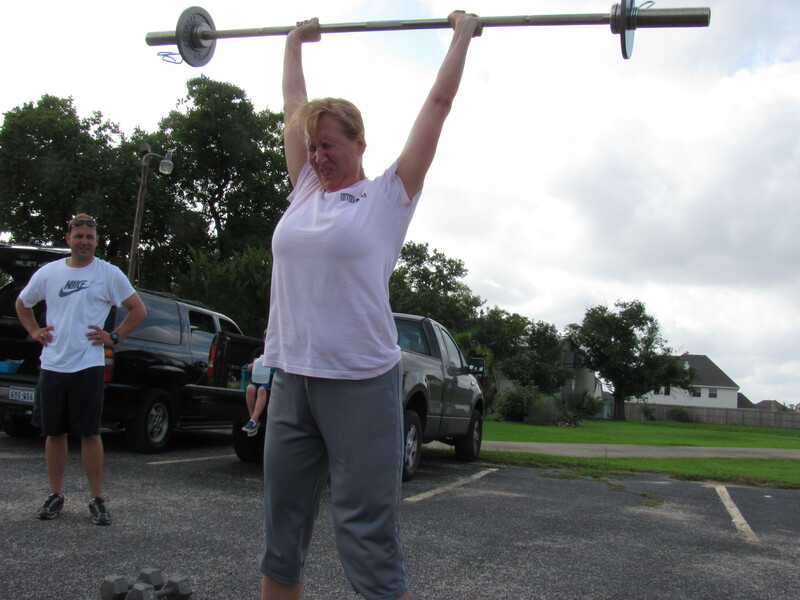 Christine, we discovered, is a natural deadlifter…….185 for her first max DL! Lynn, way to represent!! Go, Go, Girl-rillas! Enjoyed the WOD outside. The five man team should have gone 2 rounds. Niko, enjoyed working on cleans with you after the WOD. Nice job. Thanks Jim, as did I. The Fundamentals class was (as that Tiger character puts it) GRRRREAT!!! Thanks for the insight and coaching Matt, Tim, and Casey. It’s pretty awesome when you can get instant feedback, apply it, and see the results in a movement. Now, if I can just get that pesky deadlift squared away…. Oh, and the WOD was, dare I say it, FUN.